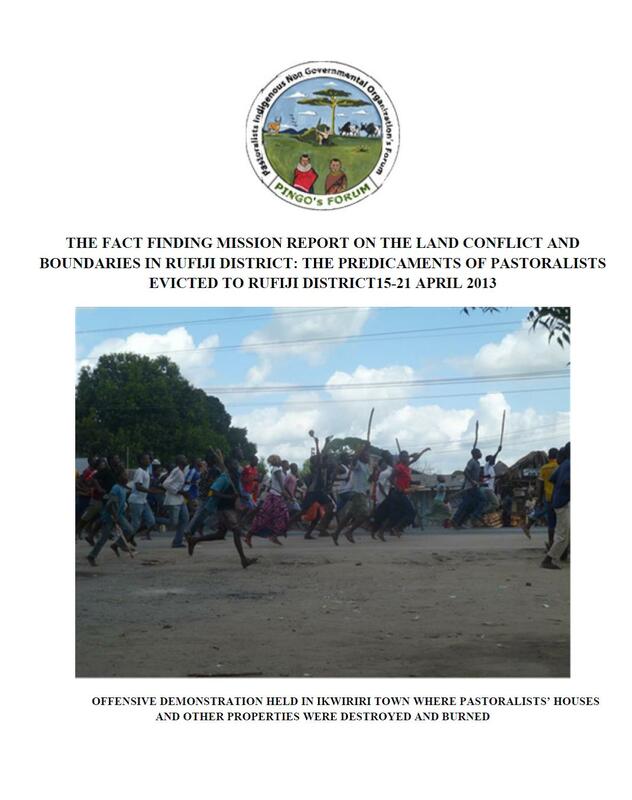 This fact finding mission had been organised to investigate the challenges facing pastoralists in Rufiji District, the challenges which have been defined as the source of conflict in this district. Although pastoralists had arrived in Rufiji since 1990’s but they officially went there and other places in Coastal and in Lindi Regions after they had been evicted from Ihefu and Kilosa in 2006-9. The Government, through their operation, announced to prepare areas for pastoralists and also to set all necessary and potential services for them to survive In Lindi, Ruvuma and Pwani Regions.